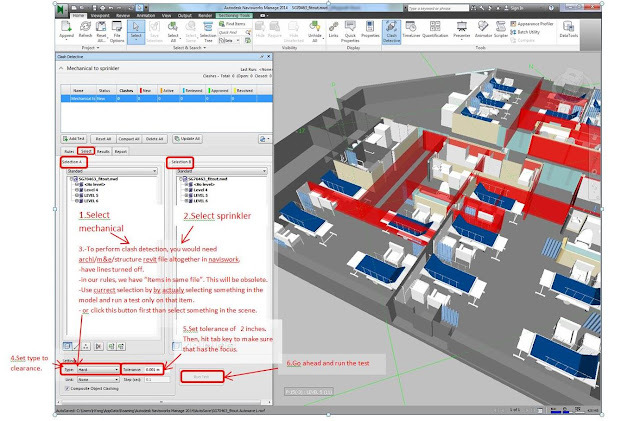 Naviswork manage > Home > tools > clash detective > add test > enter test name eg mechanical to sprinkler > rules tab > check “items in same file” > view “select”, “ results” , “ report” for other info. 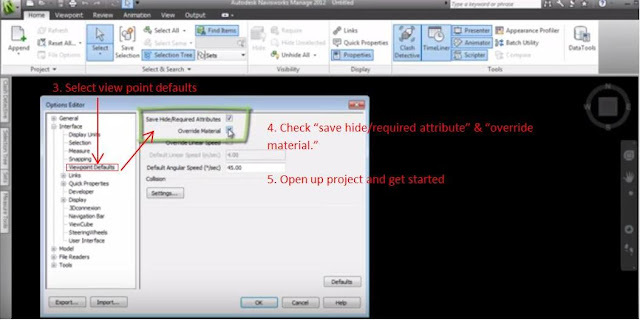 Select specific objects in those models we want to run the test on. 1.Go to select tab, we have Selection A and Selection B. 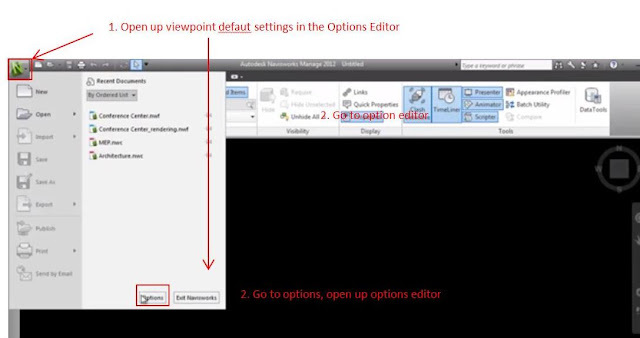 In selection A, select mechanical. 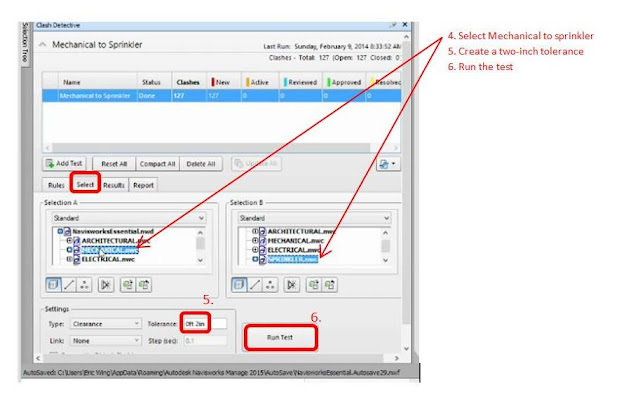 2.In selection B, select sprinkler. 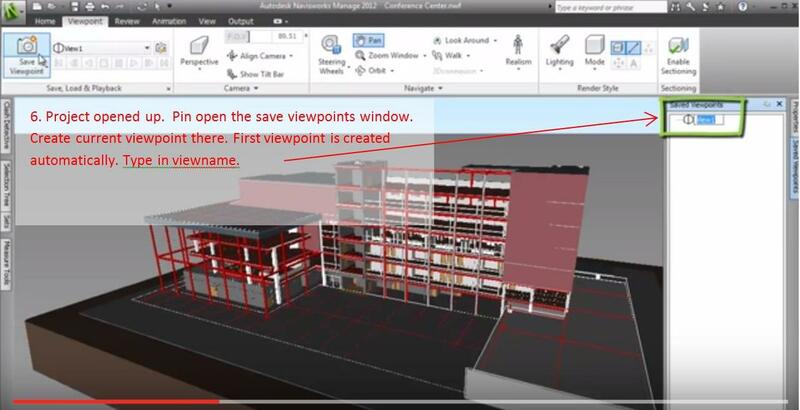 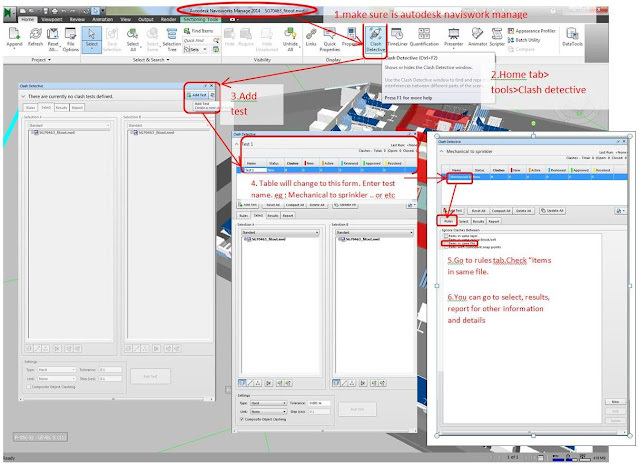 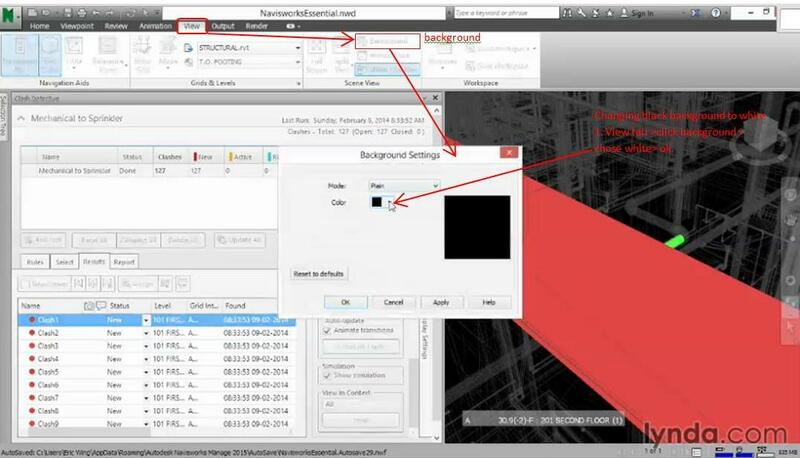 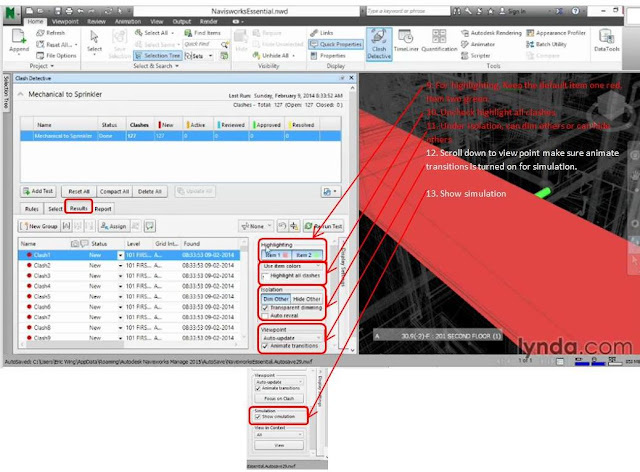 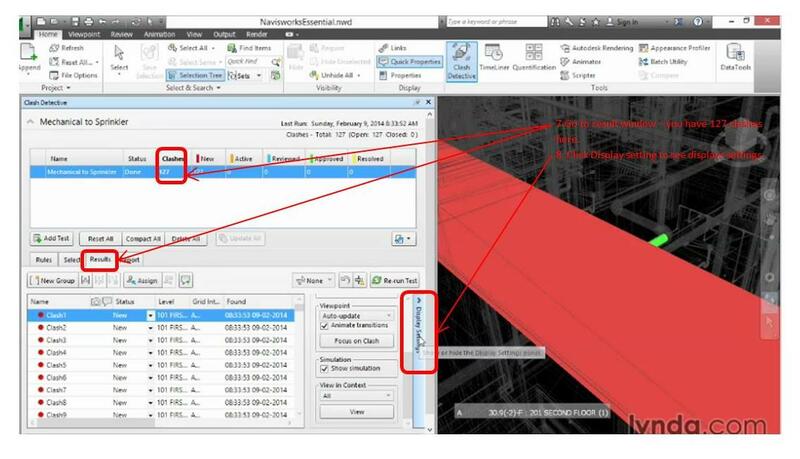 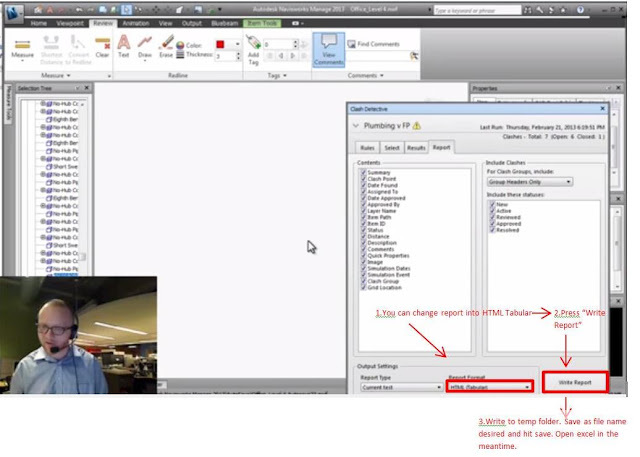 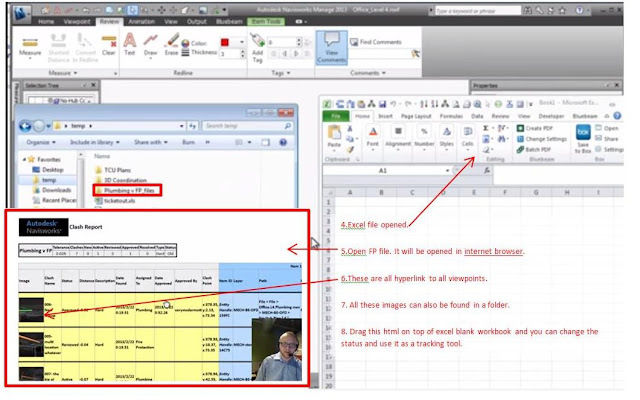 3.To perform clash detection, you would need archi/m&e /structure revit file altogether in naviswork. -in our rules, we have “items in same file.” This will be obsolete. 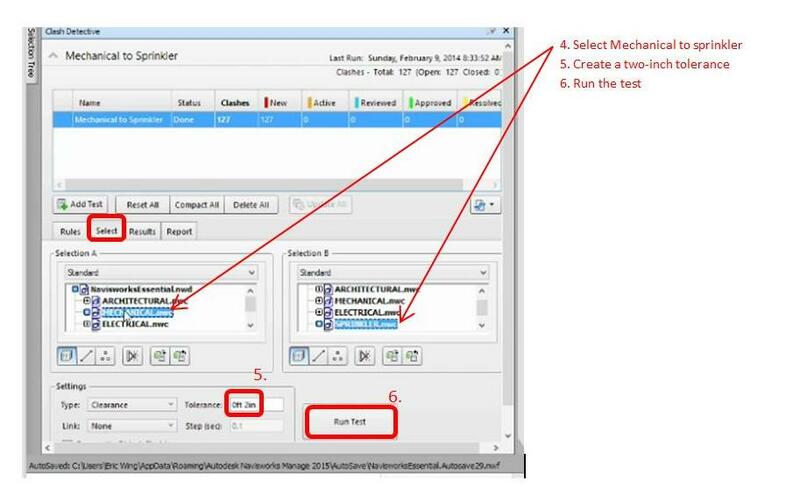 -Use current selection by actually by selecting something in the model and run a test only on that item. As soon as we identified the clashes, we need to review the problems we are going to have with construction of building.